Someone declared quite decisively that Pakistan’s ‘best era’ was during President Ayub Khan’s regime while another disagreed. Once upon a time, there used to be an evil, wretched man in a small town, who used to steal ‘kafan’ (white cloth used as a shroud to wrap the dead bodies) right after burial from the local graveyard. His means of income, therefore, involved opening up fresh graves, desecrating the dead for a meagre amount of money that he would get by selling the white cloth in the market several miles away in a bigger city. Many people in his hometown suspected him of this crime. Some even tried to capture him red-handed but he never really left any trail or evidence. Days went by and one fine day, in his old age, while on his death bed, he called for his son. The old man could not believe his ears and as fate would have it, he died the same evening. After his death, his son continued his ‘tradition’ of stealing from the dead but with a little ‘creative twist’ from his side. After looting the corpse, he would leave the bodies in an obscene posture, with a big stick shoved up their backsides. In the mornings, when town folks would discover these bodies in such a sorry state, they would cry out in despair. Recently, I realised something while sitting with a group of people who I did not know at one of the dinner parties. Let’s just say that this was perhaps the host’s idea of playing a social version of Russian roulette, where you place random strangers on one table with hopes for an interesting, intense and well, futile debate about the current situation of our beloved country. While I was busy trying to pick the last samosa on the table in the most tactical way, someone declared quite decisively that Pakistan’s ‘best era’ was during President Ayub Khan’s regime. Maybe the trigger for this sudden feeling of nostalgia was the Indian movie Bhaag Milkha Bhaag or some old YouTube video. Ironically, I had a piece of mango in my mouth at that moment. 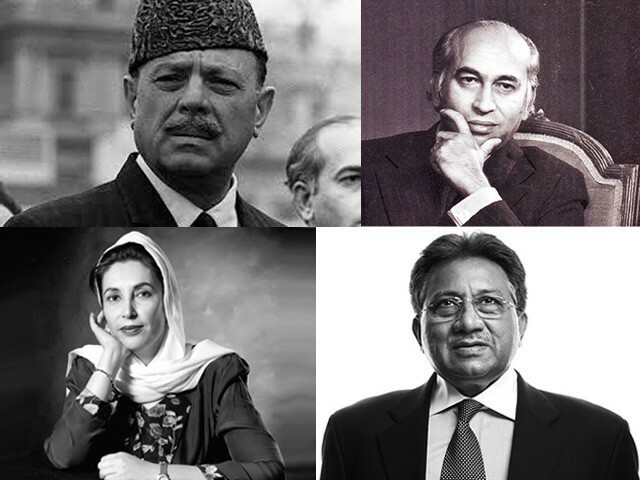 Someone included Benazir’s era as an example of Pakistan’s glorious time while another talked about Musharraf ‘giving back to international reporters’, in press conferences as ‘the highlight of the last half century’! Some people brushed this comment aside as a light joke and moved on. In that moment, I realised that this dilemma of ‘previous hakim (ruler) was more sincere and efficient than the current one’ is typical of any and every nation where people are lazy, poor are corrupt, rich are insensitive, artists are brokers, preachers are sinners and leaders, well, leaders are ‘kafan chor’.